I’m a currently approaching the 11 month mark in my year abroad in South Korea. It’s crazy to think I’ve been living here for almost a year now. The personal growth I’ve had, experiences I’ve collected, and people I’ve met are uncountable. I wrote months ago how I broke my ankle and had surgery about halfway through my stay here. Being stuck indoors and unable to walk for over a month made me determined to make the most of the rest of my stay. Since I’ve been walking again I’ve been going nonstop on the weekends visiting various cities and parks around the country. South Korea is a totally underrated country if you ask me. There are so many places to visit in Korea. Here is a list of places to visit in South Korea, they are destinations I have personally visited and recommend. 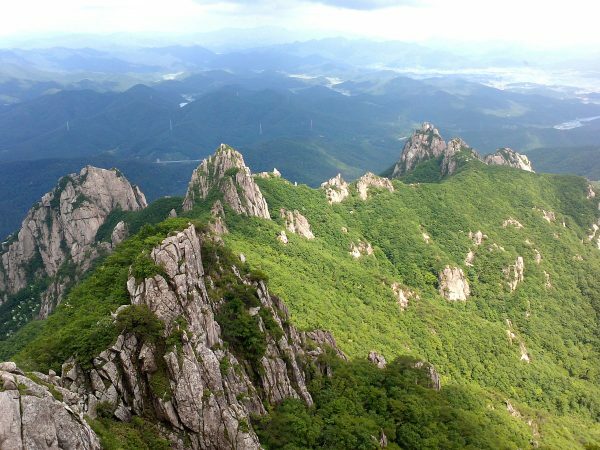 Some of popular South Korea tourist spots and others are a little off the beaten track. 1. 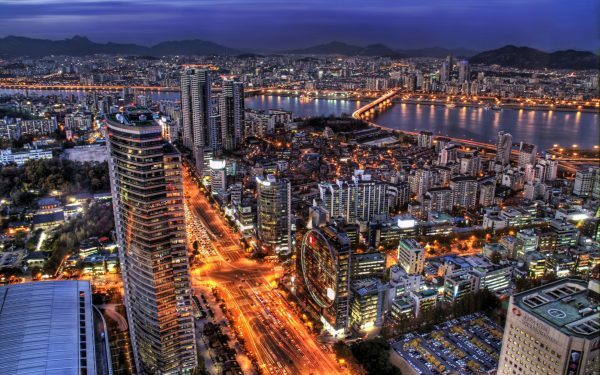 Seoul, South Korea’s capital city. This is a little cliche but it’s a must stop on your list. Especially as it’s only an hour from the international airport you almost can’t not visit Seoul. The city is huge, and surrounding area even bigger. I still have to explore more in Seoul before I leave. I’m embarrassed to admit most of the exploration in Seoul has been confirmed to the downtown areas. Boryeong is along the west part of the peninsula in the middle of the country. It’s a small city with not to much to do other than Daecheon beach. A hidden gem, this beach is one of the biggest in the country and rivals giants like Haeundae beach in Busan. It has an awesome strip along the big, long beach and lots of places to eat and drink at. There’s also the annual mud festival in July. There are many traditional villages in Korea, but the Hanok village in Jeonju is probably the most famous in all of Korea. It comprises of many blocks in sleepy Jeonju which is in the mid to southern part of the country. There are many shops, traditional homes, churches and temples to see in this small area of the city. You can also rent Hanboks, traditional Korean clothing and wear around the village. A must do. Also, Jeonju has the hands down best Bibimbap in the whole country. I can attest to this. Bibimbap is a vegetable, rice and sometimes meat dish famous in Korea. 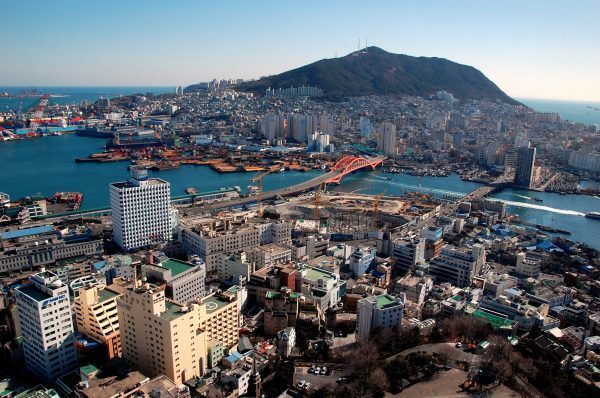 Busan is the second largest city in Korea. It is located on the southeastern tip of the country. It’s got a much different vibe than Seoul but is nearly as large in size. It has many incredible beaches and coastal areas to visit. This is up in the northeastern part of the country, and extremely far from where I was living. I visited this area twice. Once for a beer festival in Gapyeong – which isn’t even in Gangwon, but close to it – and I went on a snowboarding trip in the winter in Gangwon. The views were spectacular and it felt different than the southern part of the country. 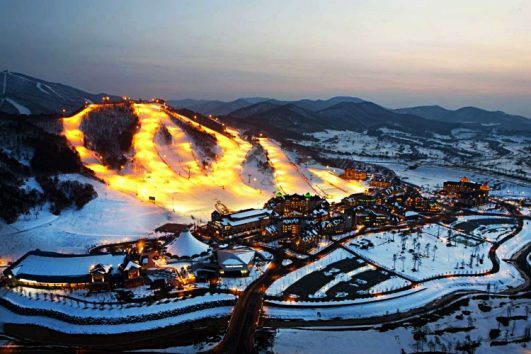 High1 ski resort in Gangwon has the best snowboarding and skiing in the country if that’s up your alley. Gangwon is also host to the 2018 Winter Olympics in PyeongChang. I lived in the province of Jeollanam-do, in the city of Gwangju. Jeollanam-do is in the southwestern part of the country. Being a good 3 and a half hours to Seoul, it is not too far from some seriously great beaches. The beaches range in size, popularity and water color. The more western beaches are more muddy, while the ones in the centre and towards the east are more blue and clear. You can usually camp right on the beach, and I’ve never had an issue having beachside campfire and drinking all night long. 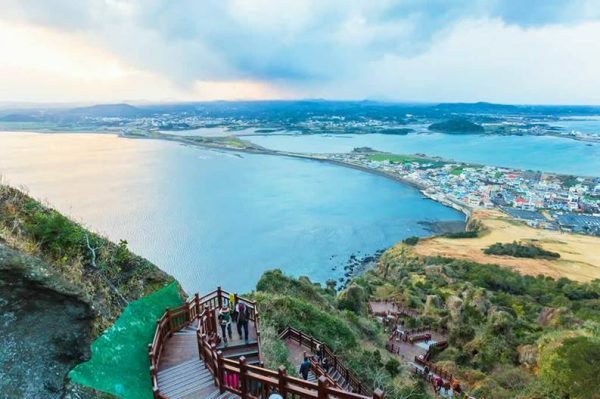 About an hour south of Gwangju is a small little national park called Wolchulsan. There’s a challenging hike and cloud bridge and even camping here. It’s extremely beautiful and the mountains here definitely distinguish themselves from most of the mountain ranges in the area. The mountains are very rocky and, the formations are present in a way I can’t quite even explain. It’s a must see if you find yourself in the area! How can I not include my home city in this list? 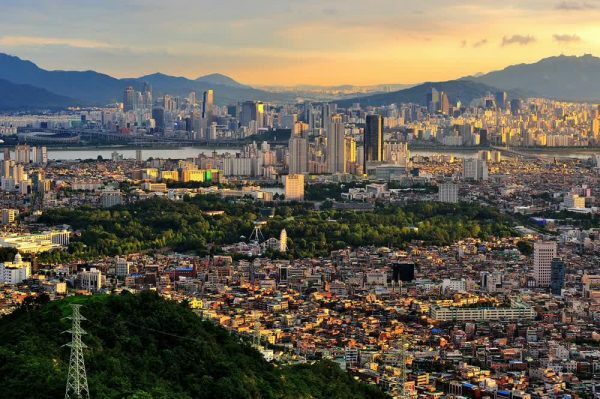 Gwangju is the 5 or 6th biggest city – depending who you ask – in Korean. It is known for its diverse range of food options and art culture. While it has various downtown area’s that leave it’s nightlife remaining interesting even for living here for over a year. It is also close to many beaches and national parks. There is a large mountain on the East side of the city, Mudeungsan. There is a vibrant foreigner community, who are generally quite interconnected. The locals speak a little less English than what you might find in Seoul and Busan though. For people who love the outdoors, couples, and artistic types, I would definitely recommend Gwangju! While not necessarily a place, there are an array of tour companies in Korea. And there seems to be a different festival happening every weekend throughout the country. Since you can get across the country in less than 6 hours there’s always something to do. These groups generally range from hiking and adventure to partying and festival going. I definitely recommending joining more than one if you’re ever in Korea. Great way to meet other foreigners and locals, and see the country! Writing up this list I am reminded how much I still have to see and so much that I unfortunately won’t have time to see. Because there’s still so much left unlisted here. 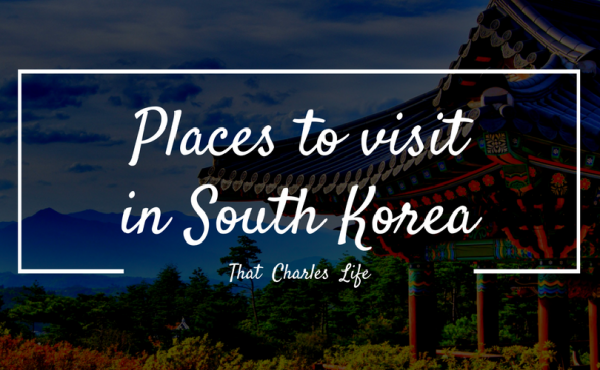 South Korea should definitely be on your travel list!